Buy and earn 300 points valued at £3.00. 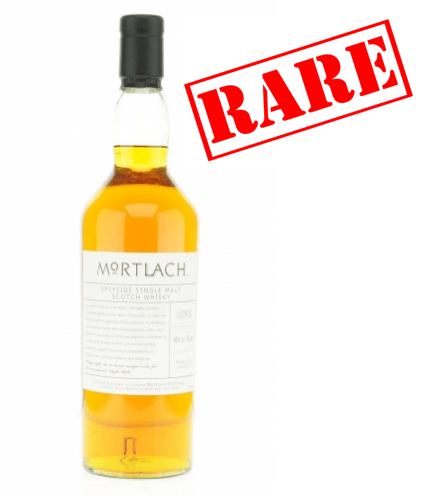 The first of Dufftown’s “seven stills”, Mortlach’s potential has been relegated to blends for most of its lifetime, meaning that it was often known only to those adventurous whisky fans who could source bottles of the “real stuff”. This bottling is from the 2013 Spirit of Speyside Whisky Festival. Non-chill filtered and bottled at 48% ABV / 70cl, this non age statement bottling is a limited edition. Nose: Slightly spicy ginger and cinnamon, rich molasses, treacle, rum-soaked raisins, dates, figs, toffee oak wood and a slightly minty/menthol quality. Palate: Light on the palate, rum-soaked raisins, caramel, toffee, vanilla, coconut, oak wood, some spiced gingerbread, cinnamon and liquorice.